Skin redness and hyper-sensitivity is a cause for concern in many women’s lives. Whenever I announce something dramatic like that… it always makes me think of my Dad who would gently tell me that in the grand scheme of things, there’s far worse things that can affect one’s life. But, as someone who suffers from diffused redness and visible capillaries, let me tell you. It’s not much fun looking like a lush. Origins have developed a serum designed to give instant relief for the appearance of redness, sensitiviy and reactivity and I’ve got a sample to put to the test. My problem areas are the common ones… nose and cheeks. My nose especially (hence the lush comment), but it’s something that I can generally cover up quite well with a bit of concealer. Erm, obviously the above photo shows my skin NOT covered up well! If I’m honest with myself, I am concerned about it getting worse as I get older and perhaps developing into something more serious like rosacea. Though, I’ve been advised that rosacea is often genetic and that diffused redness doesn’t necessarily mean that I will end up with the condition. Excuse the close up, but it’s kinda necessary for an eventual ‘after’ comparison. I did put it after the jump… I only ever do jumps when there’s 4534859305 photos in the post, or maybe just one gross one. You got the gross one. I’m under no illusions. 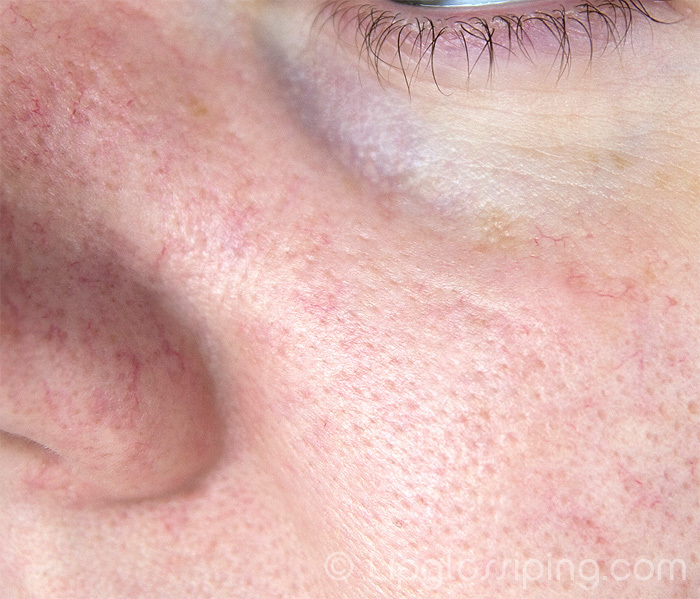 This is a topical treatment… there’s no way on Earth that this is gonna do anything for those visible capillaries – is there anything that will? But I am hoping I’ll see a shift in the overall skin tone. Calms. Soothes. Makes skin more resilient. The result: visible ageing is slowed. Now that’s a relief. Judging by those ingredients… would I not just be better off eating it? On a more serious note, I know that one of the biggest causes of skin redness is inflammation and there’s a lot of anti-inflammatory ingredients listed above, so I’m assuming that this inflammation is the product’s main target. I won’t say anything else about it now… because I haven’t been using it for long enough to form any real opinions. 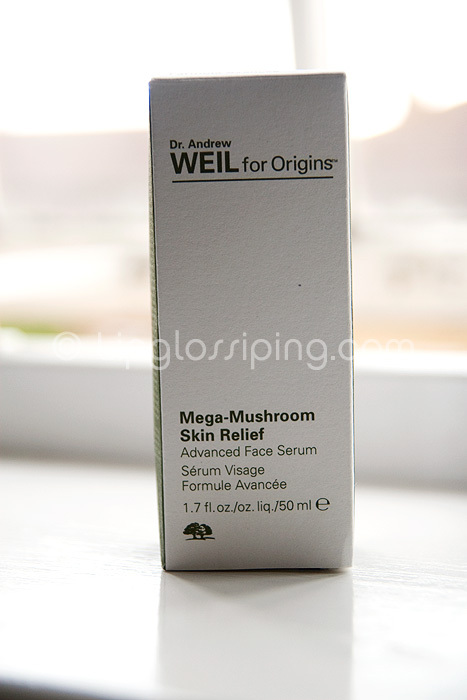 Priced at £50 for 50ml… it’s not the cheapest serum on the market, but if it achieves what it promises? It could be worth every penny. Check back soon for my thoughts once I’ve had the opportunity to put it through it’s paces. 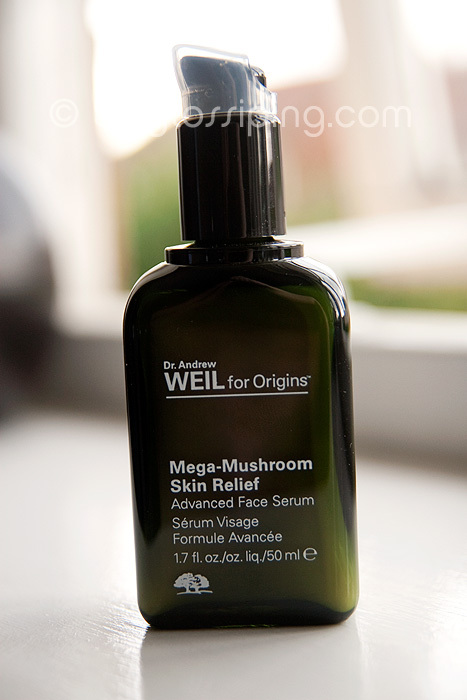 Origins Mega-Mushroom Skin Relief Serum is available from Origins counters or online now. I would like to try this, the original got good reviews but really I have so much skin stuff coming out of my ears, that this will not be tried…I think the name puts me off and I like mushrooms. THANK YOU for reviewing a product that addresses broken capillaries from the skincare perspective. I’ve never encountered one here in Asia! I can’t wait to see if you like this or not as I’ve been curious about it for ages. 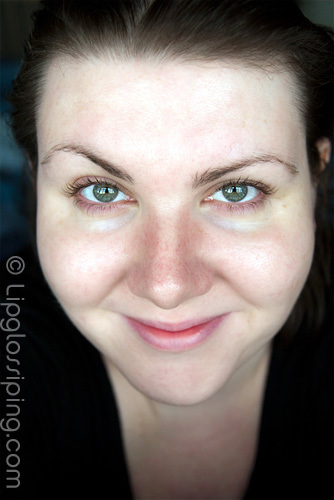 I have really bad rosacea so if it claims to help with that then I’m there! And I love Origins skincare. Don’t know why I always skip it really…but the high price is probably a major factor! Shame it’s so expensive. can’t wait to see what you think of this product. I’ve been wanting to try out their mushroom line for awhile now. 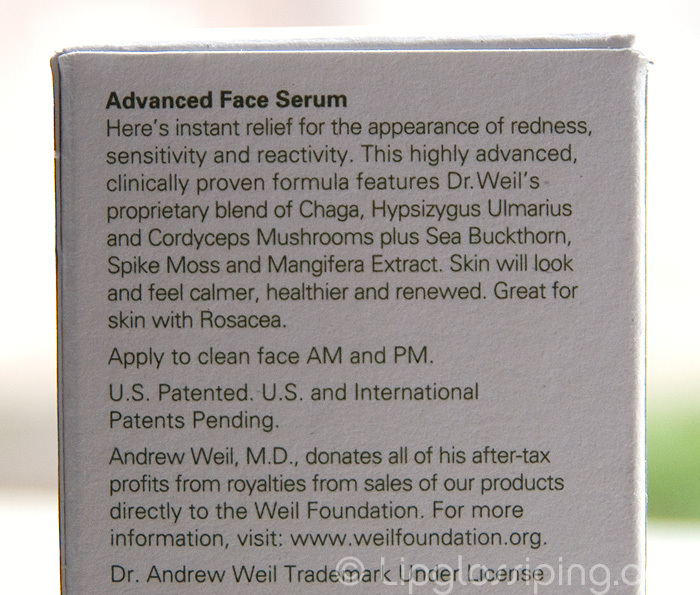 If the Dr. Weil doesn’t work, I highly recommend trying Dr. Hauschka’s cream! I suffer from exactly the same skin problems as you, and I got a very generous sample of this at the Origins counter a few weeks ago. Unfortunately I couldn’t stand to use it more than once because of the god-awful stench — yes, I said stench. It smelled like a rancid pool of swamp muck, and to be honest I’m not in the mood to pay a pretty penny for that smell. Was mine off, or do you notice the stench, too? A laser removed all of my visible capillaries in about two minutes.